Running is one of the most popular forms of exercise all around the world. It provides a lot of health benefits, but there is also a high risk of injury. Some of the injuries are traumatic, but the majority of the injuries originates in overuse or wrong training. In any given year, 30% – 50% of all runners are reported to experiencing an injury. 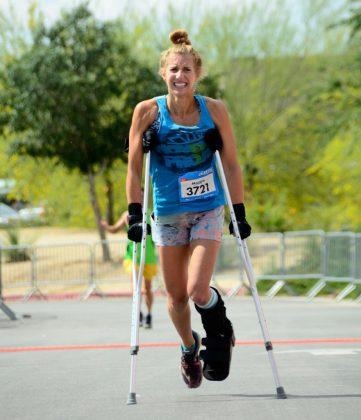 Once an injury happened, the runner embarks on a challenging journey. The runner’s body is well taken care of by doctors, physical therapists and running coaches. A diagnosis is given about what happened, a treatment plan is fixed for the healing and recovery of the body, and a prognosis is given about when the runner may be able to return to running. However, facing an injury does not only involve the runner’s body. It also affects the runner psychologically and emotionally, often to the same degree as physically. It is as important for the mind to understand the situation, to know what to expect, and to be able to deal with the injury and with the recovery process. If the mind is not taken care of, this can still affect the runner in his performance even after the recovery of the body. The runner invests a lot of time and effort into training, into learning skills, and into working constantly on the body to become a better runner. He often is into running with heart and soul, so that running becomes a central part to his life. The runner feels the health benefits and confidence that come with regular training, and often he is at home in a running community with like minded friends. Experiencing an injury interrupts the runner’s regular routines and unexpectedly stops the runner’s life as it used to be so that he needs to adapt to and deal with the new circumstances. When suddenly running is not possible anymore, the runner feels like he has lost this identity from one moment to the next, or at least is unsure whether is would still be justified to call himself a runner under the new circumstances. For a runner, running is often far more than just a means to staying healthy and fit. A runner puts a lot of work into his training, which results in achievements that are directly aligned with the effort put in. The runner is often very proud of this, and as a result, a high self-esteem and self-respect derives from succeeding in running. With an injury, the runner looses this source and faces the challenge to find an alternative source during the recovery period. Running gives the runner also a lot of self-confidence, because he develops his running competence and conditions the body to get better and better, to master the running, to succeed and to have a lot of wins on a regular basis. Now that an injury happened, the runner is not that confident anymore, analyses what mistake he may have made, asks himself why the body is suddenly weak, and if he can ever get back to the old form. The suddenly is a lot of uncertainty and doubt that pull down the runner’s confidence level. Running is also often used as a coping mechanism when times get stressful. It helps release tension, mitigates mental health issues such as anxiety, gives the runner time to be by himself at let the mind wander, even serves as a kind of means to meditate. Experiencing an injury and getting through the healing and recovery process, is very stressful for a runner. And the very thing to cope, to go for a run, the runner cannot do at this moment. At a time when it seems most needed, running is not an option for the runner. The runner spends a lot of time with the sport, often has a certain routine and integrates the runs, supportive strengthening exercises and cross training into his daily planning. With an injury, the runner cannot do most of his training (if anything at all), and suddenly there is a lot of time. Now he often does not know what to do instead and is not satisfied with the situation, or in the worst case feels completely lost. The runner is often part of the running-community where he makes friends, where everyone supports each other, compares their performances, exchanges and shares running-experiences, organises meet-ups or running groups, prepares to participate at competitions and races, etc. When a runner is injured, he may feel that he cannot contribute and that he may no longer belong to the community because right now he thinks he is not a runner. The runner has certain goals set for him-/herself, or dreams of certain achievements for the future. With an injury, goals need to be re-assessed and recede into the distance. To acknowledge that to oneself can be mentally very challenging for a runner. In general, it also plays a roll how a runner reacts to and can cope with setbacks and changes in life. It depends partly on how strong a runner is mentally and how well he can control his emotions. So, for some runners, being injured can be a very deep and frightening experience mentally, from which they may be tempted to ‘run’ away. Luckily, this psychologically and emotionally challenging part of having an injury can be faced and overcome with a little bit of external help. A Life Coach can help the runner deal with the above-mentioned different types of losses. He helps the runner find out and understand what may be going on inside of him, and he offers a safe space in which he listens to the runner with empathy, asks questions to help the runner create awareness, and supports him during his journey. The coach is a trusted partner for the runner. He can also hold the runner accountable or help him visualise getting through the recovery time. However, the coach will always make sure that he does not impose his own agenda onto the runner. It is up to the runner to want to improve in this situation, and he will do most of the work to find his own unique way to deal with the injury and recovery process. 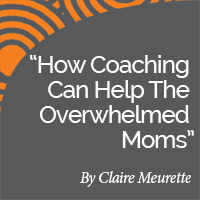 The coach gives the runner the space to experience and let out his feelings of grief, sadness, anger, fear, shame or any other feeling that comes up. 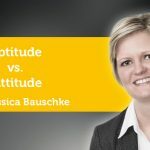 To confront and work through these feelings is important so that they don’t pile up inside the runner and impede him later during the recovery process. The coach encourages the runner to accept the injury and to be realistic about how bad the injury really is. The runner may be in denial and tell himself that he can still train around the injury which can extend the recovery time or in the worst case can lead to additional injury. To get the runner’s mind to accept the facts of his physical state, to be with it, integrate it into his awareness, and to remain calm inside is a good basis for the runner to look forward and to be able to work actively on his recovery. 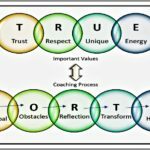 The coach encourages the runner to plan, to set new goals, to determine the next steps and to create new routines within his new scope of possibilities. He encourages the runner to take responsibility about the situation and to focus on the present with a view towards the future. This gives the runner momentum and less room for mourning. The coach encourages the runner to believe that on the other side, after overcoming this challenging time, he will come out of this experience as a better runner, and a better person in general. But the runner also needs to be aware that a recovery process is in most cases not linear, and that there is probably a rocky road in front of him with many ups and downs. The runner is encouraged to be patient and embrace the situation with a positive attitude, because when one door closes, and another door opens, chances are that it is hell in the hallway in between. The coach encourages the runner to consider finding a way to stay connected with other runners, if this resonates with him. Ways can be to cheer other runners on at a race, to participate at running events as a volunteer or to exchange the experience of having an injury and to give each other tips to learn from. Although this can be tough for an injured runner at times, it can be a good way to have a community that keeps him close to the sport and familiar environment to a certain extent. The coach encourages the runner to see who can or will support him during the recovery process. The support team can be made of the runner’s doctor, physio therapist and/or running coach, other runners, parents and other family members, friends, and the Life Coach. If everyone in the team communicates well and they all take care of the injured runner in a positive and supporting way, it will make a huge difference during recovery. Taking care of the mental recovery from an injury is very important for a runner. 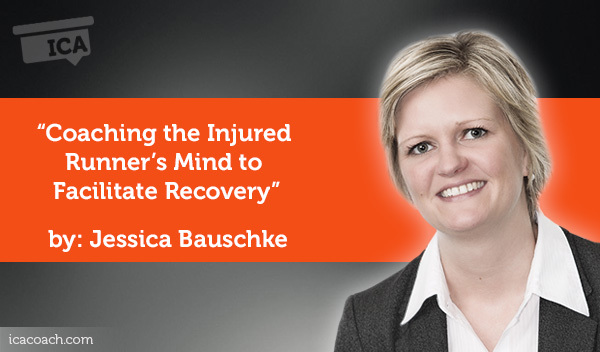 Nevertheless, it is a topic that still is not that often talked about when talking about recovering from injury. The focus is usually put on the healing and recovery of the body. But as there is a strong connection between mind and body, and both work together, if the mind is neglected, the recovery process of the body will be affected in a detrimental way. During the last years, it became more and more normal to talk about mental issues, and they started being better accepted by the society in general. People are not as ashamed anymore as they used to be when admitting suffering from an issue psychologically and/or emotionally. This is just one of many examples that shows the need for mental support of an injured runner by a Life Coach. As coaching becomes more and more popular with more and more specialised niches evolving, there are already several coaches available who focus on injured runners (and other injured athletes) to support them during the challenging time of injury. This is a great trend that is very much appreciated and welcomed by many runners around the globe! 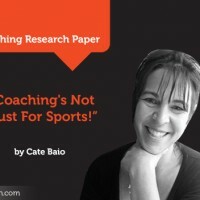 Research Paper: Coaching’s Not Just For Sports!